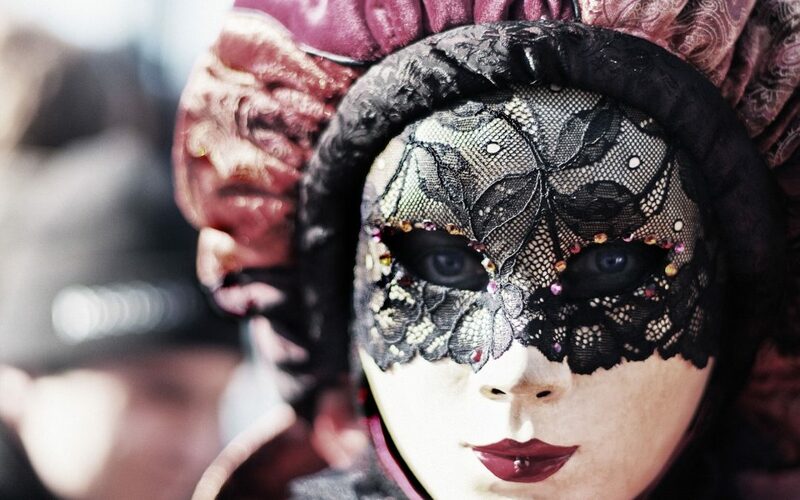 Carnevale is a famous time of year, celebrated all throughout Italy. 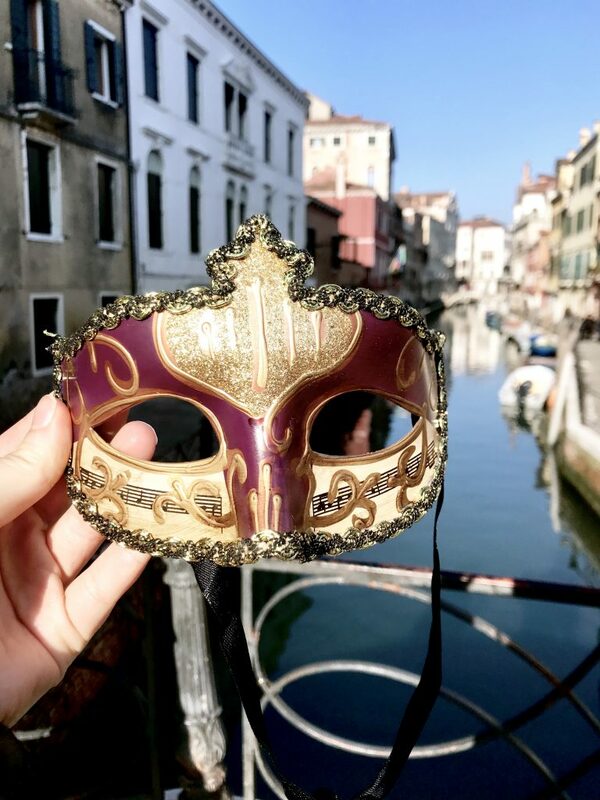 Though there are several different carnivals in Italy, the most famous is in the beautiful city of Venice. The city is worth a trip on any given day, but there is something really special about Carnival season. If you are unsure of how to plan our what to pack, don’t worry – just keep reading! If this is your biggest question, don’t fret! There is a wide range of costumes at Carnival, and you will definitely find something that is fun and comfortable for you. The traditional Carnival costumes can involve completely masked faces with long capes, or Victorian style wigs with big gowns and fancy suits. These costumes are beautiful to look at and so fun to wear! If you decide to pull out all the stops and go for the traditional Carnevale garb, you will not be alone. You could even enter the mask contest and try to be in a parade! However, given the price and size of these costumes (and that many Carnival goers are travelers with limited packing space), a large portion of the crowd sports less elaborate outfits. If you have an animal onesie or an old Halloween costume sitting in your closet, Carnival is the perfect excuse to pull it back out! Join the pirates, princesses, minions and more wandering through the streets of Venice. If you want to keep it simple, there is always the option of wearing a go-to outfit and adding a fun mask for the occasion! This is the option my roommates and I chose, since packing for a whole semester didn’t leave a lot of room for Victorian gowns. (Bummer.) We dressed for a day out on the town and bought some beautiful masks upon arrival! We paid 5 euros each for our masks and felt just as much a part of the celebration. 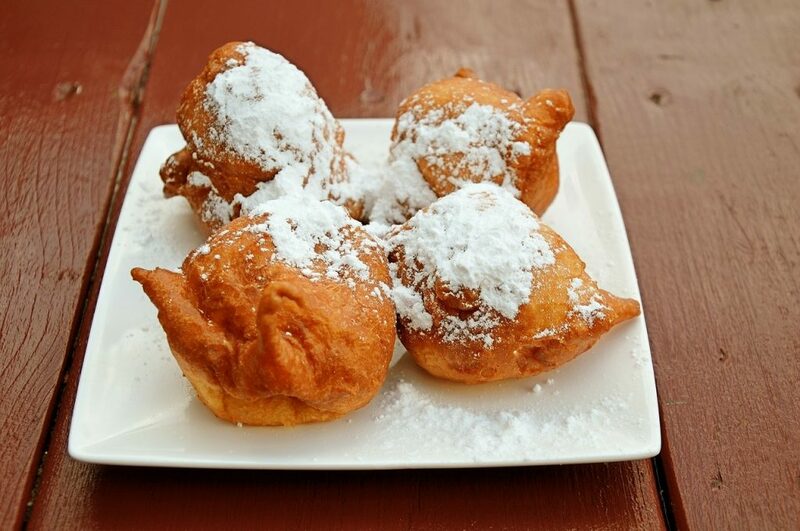 Plus, we could keep them in or bags when enjoying some of that delicious Carnival food. Carnival is a three-week event, so there are plenty of options of when to go. The best time to go depends on what you’d like to experience there and what your travel arrangements or options are. Coming from Florence, we were able to make it a day trip. This way we experienced the events, costumes, and food, without spending money on a hotel. We saw the opening gondola parade along the river, ate fritelles and enjoyed the costumes and confetti in St. Mark’s Square. However, for the many people who spend a weekend or even more, there are plenty of events and activities to enjoy. For the complete Carnival experience, the second weekend is probably the best time to go. This weekend features the famous Flight of the Angel, and also falls within the 10 days of the Festa della Marie. For Carnival nightlife, look for live music, bar crawls, and Carnival events. Because of the fun costumes and yummy sweets, Carnival can absolutely be kid-friendly. There is a children’s parade on March 4, which would be a great way to make Carnival special for the little ones. However, since it is on one of the main weekends, it will be hard to minimize the crowds. Going on a weekday or spending some time in less popular piazzas are good ways to avoid the masses. These quiet piazzas will give them (and you) a chance to rest and allow them to enjoy the fun of being dressed up in a fairy-tale-like city. The first is ganali. This is a thin, rectangular pastry with a sweet crunch. Once you have one, you won’t want to stop. And since they are so thin and light, you won’t feel the need to! I recommend getting enough to share with your group. These are great to munch on while seeing all of Carnival’s great sights, or while taking a break from a day full of walking. The second is fritelle. This is a fluffy, round pastry with cream inside and powdered sugar on top. The taste varies depending on the filling you choose. You’ll find fillings like Nutella or more traditional cream, and even some more creative ones! 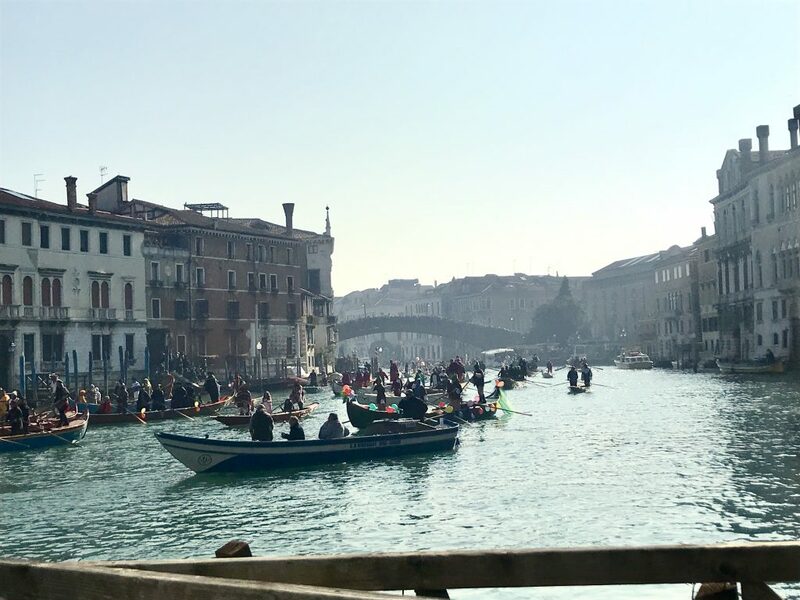 Venice is a popular city already. But during the days of Carnival events, the streets can become completely gridlocked with pedestrians. Which ever event is first on your agenda, get there early in the day to claim a good spot. Otherwise you risk not being able to see the event through all of the people. We found a less-crowded spot to watch the gondola parade about 45 minutes before it started, and were able to get a nice view. For events in one central location (e.i. anything other than parades), I would recommend getting there even earlier. It is better to get there early and be bored for a while than it is to completely miss an event you traveled planes and trains to see. It is important to plan well for things like crowds, weather, and train delays. However, it is also important to be flexible. It is very possible that despite all of your planning, you could miss an event or even more. DON’T let this ruin your vacation in one of Italy’s most beautiful cities. Check out a museum, find an empty street to wander, enjoy some seafood and wine. 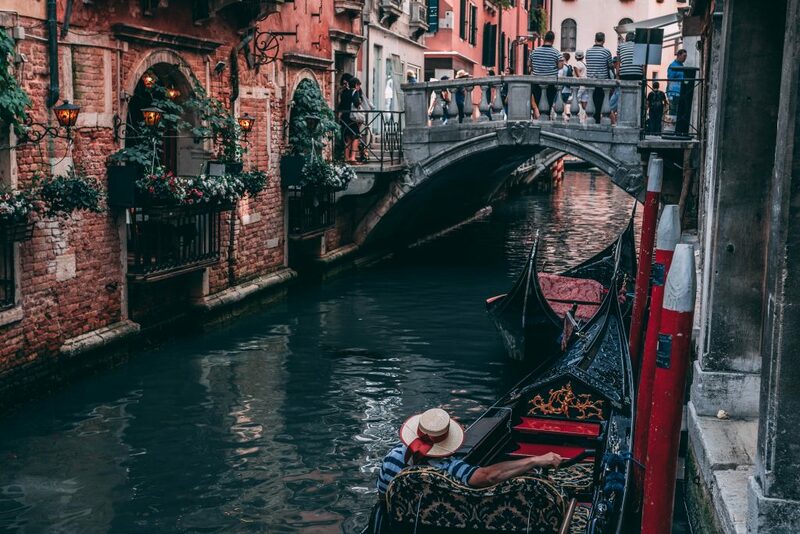 Take in the beauties of Venice and the excitement of its prime time of year. Buon Carnevale!